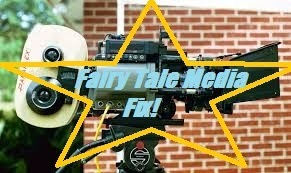 Fairy Tale Fandom: Fairy Tale Media Fix: Cinderella (2015). Hello once again, this is Adam the Fairy Tale Geek presenting another movie review. This time, my subject is the newly released live-action version of Disney’s Cinderella. Standee from my local theater. Now, before I go on, let me say that I actually do know that the subject of Cinderella has become something of a battlefield lately. Cinderella has become kind of the poster child for a lack of feminism in fairy tales and any number of people have latched onto this to make the story and original 1950 animated film the subject of criticism and ridicule. Among those people are the people behind Cinema Sins, Honest Trailers and Princess Rap Battles (warning, the language for these videos can get quite coarse. Remember parents, be aware of what your kids are watching online). So, on one level, this movie can be judged by how well it updates a classic fairy tale for the values of modern times. However, it can also be judged by how well of an adaptation it is and just how good of a movie it is. Hopefully, I can cover all these angles suitably well. I wonder if anyone’s put Cinderella’s motto on a t-shirt yet (Oh look, they have!). Anyway, time passes and the father decides to marry again, this time to the Lady Tremaine (Cate Blanchett). She brings along her two daughters, a cat named Lucifer and an unmistakable air of evil that only the audience seems able to detect. Some more time passes and Ella’s father leaves on business only to die on the road. Now, here’s where the story really begins in earnest. After her father dies, Ella is essentially exiled to the attic and made into a servant. After one particularly bad morning in which her stepsisters give her the nickname Cinderella, she rides off into the woods where she encounters a stag who she saves from being hunted by the prince (Richard Madden) and his entourage. Taking him to be a regular soldier or hunter, the prince introduces himself as an apprentice named Kit. Yeah . . . Prince Kit. One of the few times in Disney history that Cinderella’s prince actually gets a name and they go with Kit. I don’t know, I guess I just never expected the prince to have the same first name as The Phantom. Well, I’m not going to bore you with any more synopsis. The rest of the movie is actually rather entertaining. Compared with the animated movie it’s remaking, they jettison the Tom and Jerry antics of Lucifer and the mice (which took up way too much of the original film) largely in favor of more scenes for the prince and some behind-the-scenes political maneuvering by the Duke. Helena Bonham Carter plays a good turn as a somewhat daffy Fairy Godmother in what may be one of the most entertaining scenes in the movie. There’s also a surprisingly exciting and action-packed race away from the ball as the coach and animals begin to turn back to normal. The stepsisters are hilarious in many of their scenes. The movie does its best to try and give Lady Tremaine some depth regarding her hatred toward Ella. Overall, though, the highlight is the onscreen romantic chemistry between Kit and Ella. The movie is just sweet. It may not do anything revolutionary with the story but it will give you the warm fuzzies as you’re watching it. From a fairy tale perspective, there’s a lot to love. While the movie is considered to be a remake of the 1950 animated film, that isn’t their only source material. There are references back to Charles Perrault’s “Cendrillon”. For example, the footmen are once again transformed from lizards. There are also references to the Grimm version. The most notable of which is the branch she asks her father to bring back from his travels. Also, the stepsisters in this version are depicted as “beautiful, with fair faces, but evil and dark hearts” rather than ugly like in many versions. The biggest challenge that director Kenneth Branagh and screenwriter Chris Weitz had is convincing the audience that Ella is strong because she manages to keep her good nature rather than becoming bitter in the face of the cruelty of her step-family. I think they do a passable job. I know there are others who wouldn’t be convinced. That, honestly, is probably because in our modern world and especially in the culture of the USA, we don’t easily see that type of internal fortitude as strength. Staying in one place, even if it’s your ancestral home, isn’t seen as strong these days. 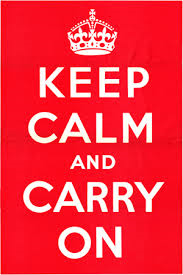 Being intrepid and going off into the world is. We expect people to show strength through confrontation. People want Ella to stand up and demand respect, damn the risks! However, sometimes it’s better and wiser to avoid confrontation. My aunt, who went to see the movie with me, actually asked me during the movie actually asked me why she lets her stepfamily treat her that way in her own house. My answer is that I didn’t know if anyone else with any legal authority would agree with her. Not knowing how the laws in that kingdom are applied and coming in blind to what’s actually going on, are we so sure that a judge or magistrate would side with Ella over Tremaine. If you were given such a task, who do you think the house belongs to now? The owner’s widow or the owner’s orphaned child? And hey, this version of Cinderella does actually stand up to Lady Tremaine when she tries to use her to weasel her way into controlling the prince. Like I said, some will disagree with me as to whether Ella’s a strong character. However, I also will say that I sometimes find the standards people hold for empowered fairy tale characters to be unfair seeing as many of them aren’t applicable to characters of either gender. That’s a post for another time, though. Overall, I’d say the new Cinderella despite a slow start is a sweet, enjoyable movie. It also does a decent, if not fantastic job of rebranding one of Disney’s most embattled characters. It may not be revolutionary, but that doesn’t mean it’s not worth watching. Finally, I will also add that if you are a fan of the music from Disney’s original animated version, sit through the credits. You’ll be in for a treat. Hi~Great article! I'll definitely watch this movie now. Have you watched EverAfter with Drew Barrymore? Yes, Ever After was the definitive feminist version. She is an intellectual who carries around a copy of Thomas More's Utopia, she knocks down the Prince when he's about to help himself to the family horse and she rescues herself from a leering nobleman who has her in chains. And they got rid of the fairy godmother and replaced her with Leonardo Da Vinci, who has just moved to France with the Mona Lisa in his bag. Really, though, there are so many Cinderella movies, why film another one? There's The Glass Slipper(Leslie Caron) and The Slipper And The Rose ( a musical, in which Michael Hordern,as the King, sings a very funny song and nearly steals the show, with Annette Crosbie as a daffy fairy godmother) and plenty more. But as a teacher librarian, I know that, whatever you try, girls like their Cinderella stories in which the meek and mild heroine gets a gorgeous guy who might be a vampire, a werewolf or the head of the football team. They identify, you see. Though I'm not too sure they'd identify with the heroine of The Glass Throne, who is a seventeen year old assassin! But she does go to the ball, though thinking it's the first time she's attended one in which she wasn't there to work! I have seen Ever After when I was younger ("I shall go down in history as the man who opened a door"). It's good, but it's also the most grounded version. Sometimes you want a version that keeps in all the magical bits. I suppose the reason for Disney to make another one is so they can try to clean up the image of one of their heroines a little. Also, another reason could be because it is arguably the most popular folk tale in the world. I mean, you know how many variants there are. Despite how ubiquitous it is, people never tire of this story. It's like asking "Why make another Batman movie?" The answer is: because people will go to see it. I actually haven't heard of some of those Cinderella movies you listed. I'll have to check those out. Your description of The Glass Throne reminds me of the comic book Fables that had their Cinderella as a secret agent. Also, a piece of fanart I once saw of Disney's Cinderella as a ninja. Personally, my favorite Cinderella adaptation is Marissa Meyer's YA novel Cinder. The title character in it is a cyborg mechanic who lives in a high-tech future that's under threat from both a deadly plague and a super-powered race of people called Lunars. Blogger needs a "like" button. Good review. I actually watched it myself (review shall be forthcoming) - but suffice to say for now, I loved it. It's my favourite Cinderella movie to date. One of the things I loved is the fact that it is a straight-up FAIRY TALE, with all the characteristics Max Lüthi ascribes to them - flatness of characters, one-dimensionality, being unsurprised at magic... They weren't trying to "teach a lesson" (beyond the aforementioned "Have courage and be kind") or turn Cinderella into a feminist icon or give anyone a tragic backstory. And the whole thing is just so incredibly beautiful. I'm glad you mentioned the songs running under the credits - we stayed til the very end (were the only ones left in the theatre, which had been packed out to start with), and we were glad we did. Helena Bonham Carter's rendition of "Bippety Boppety" is priceless. I give this movie two thumbs up (would give it more if I had more thumbs), and that's coming from someone who's really critical of Cinderella movies as a rule.